Two years ago today I founded The Self-Hating Hipster with the pie-eyed intent of writing bi-weekly special interest pieces on topics as diverse as craft beer to krautrock. I will be the first to admit that I had absolutely no idea what I was doing. If you don’t believe me take a look at the toolbar at the top of the page; no hipster, regardless of his/her level of motivation, has the amount of time to weigh in on all of those topics regularly, let alone with quality content. That being said I also had a number of active contributors at the time, who for totally understandable reasons (read: occupations in their field of study, significant others, geographical relocation, etc…), were limited over the past year as to what they could contribute. I say that not at all embittered; rather, I’m very proud of my friends/contributors who were actually able to use their multiple intelligences which they honed by keeping themselves in the practice of writing, following niches be it a record label or a sports team, building collections, forming bonds with public relations companies, learning the ins and outs of Photoshop, GarageBand, Excel (me) and translated them into the real world where their talents are better served and their compensation is well-deserved. To me that is a testament to the gratis talent that I was gifted for the better part of year. Your humble blog host was technically no exception to the rule. Starting in late May 2012 I was picked up as a contributor to Pop’stache, a growing music blog out of Chicacgo which published the first interview that I ever conducted. Later in the year I was actually able to get paid for a handful of reviews for the Canada-based fashion e-zine Aritzia. Both relationships did create an inevitable conflict of interest and the frequency of my posts suffered as a result. Those followers who have been around since the beginning will have noticed that the SHH focus has shifted to music (though the Indie Canon hasn’t seen and inductee out of sloth since May of last year…GUH!). This was largely a product of trying to write articles for three different websites, two of which were music-centric and working a full-time job which demanded hundreds of hours of unpaid overtime. It has certainly been an exercise in perseverance, but the website’s format will, to an extent, be changing in the coming months. I intend to start podcasting to supplement the published written word. Those that know me will attest that I often have more to say, though less articulate (if you can believe it), that is offered to the SHH audience. There will be more single album reviews as opposed to large, time-consuming catalogs. I may focus once again on video game articles as those reviews remain to be some of my biggest hits. I also have at least three pending collections articles which I look forward to sharing. And, of course, Powee the Frumpy Cat will likely return in some capacity. I suppose that it’s my birthday and I’ll cry if I want to, but in taking a look at the statistics it’s not so bad. This time last year I gloated about garnering 33,000 views with 250 post by 15 contributors. This year the views exceeded 73,000 to date and there were only 50 posts by 3 contributors. I’m not giving up because I, albeit assisted, have slowly accumulated a readership that I have to assume, 1) reads what my contributors and I write, and 2) values the output. As always I would like to welcome contributors. All I ask is that you submit a prospectus of sorts including your availability and submit it to selfhatinghipster.com . Remember that the real driving force behind the SHH is insightful treatment of that which is meaningful to you and a willing sharing of interest. At the very least it is creative exhibitionism. 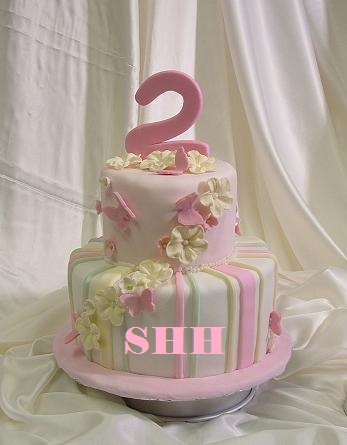 Happy 2nd Birthday, SHH and many happy returns of the day! Your website is awesome. I hope I can contribute an article some time soon!